Then the temple police went back to the chief priests and Pharisees, who asked them, “Why did you not arrest him?” The police answered, “Never has anyone spoken like this!” Then the Pharisees replied, “Surely you have not been deceived too, have you? Has any one of the authorities or of the Pharisees believed in him? But this crowd, which does not know the law—they are accursed.” Nicodemus, who had gone to Jesus before, and who was one of them, asked, “Our law does not judge people without first giving them a hearing to find out what they are doing, does it?” They replied, “Surely you are not also from Galilee, are you? Search and you will see that no prophet is to arise from Galilee.” Then each of them went home. Therefore, since we are justified by faith, we have peace with God through our Lord Jesus Christ, through whom we have obtained access to this grace in which we stand; and we boast in our hope of sharing the glory of God. and hope does not disappoint us, because God’s love has been poured into our hearts through the Holy Spirit that has been given to us. Lord, who can imagine the love that you bestow upon us. His name was Bede, also known as Venerable Bede, and he was the father of English history. Bede was truly a master of multiple disciplines, but he is most remembered as the man whose lifelong mission was to bring people closer to God. 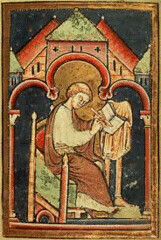 Bede never traveled more than 30 miles from his Northumbrian Monastery, and from that community he wrote more than forty books covering a wide range of subjects. For all of his 62 years he valued nothing more than his mission. Bede said, “He who will not willingly and humbly enter the gate of the Church will certainly be damned and enter the gate of Hell whether he wants to or not!” These strong words establish his doctrine of salvation. The key words to anyone’s faith walk are willingly and humbly. Without this conviction we fail to enter the gates of heaven and live a miserable earthly existence as well. Scripture proclaims, “Listen! I am standing at the door, knocking; if you hear my voice and open the door, I will come in to you and eat with you, and you with me.” (Revelation 3:20) God’s word is crying out for us to willingly let Him into our lives. He has prepared such a good life for us, and yet it is our choice to neglect or accept His invitation. Salvation, the Christian way, is never forced upon any soul, but it must be received and received willingly. The second word that Venerable Bede uses is humbly. Jesus said in the parable of the Pharisee and the Tax Collector, “for all who exalt themselves will be humbled, but all who humble themselves will be exalted.” Clearly, our Lord articulates to us that acting in humble submission is the key to eternal justification and a peaceful life all the days of our lives. A person who lives humbly not only receives riches in the hereafter but lives without the earthly scourge of excessive pride. This type of pride leads to untold sin and grief. The word of the Church Father is that the neglect of this simple formula leads to eternal condemnation and a miserable earthly existence. We would do well to give heed to the words of Jesus, “Come to me, all you that are weary and are carrying heavy burdens, and I will give you rest.” Our world cries for rest, and peaceful rest at that. Jesus offers this life to all who come to Him. A man who was born of questionable parentage, and died a criminal’s death offers us this gift of peace by the power of His resurrection. 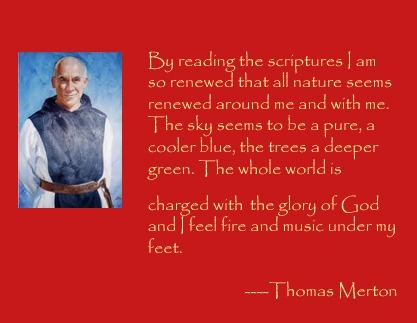 Some 700 years later a humble Monk who never traveled more than 30 miles from the place of his birth repeats this invitation in very simple words. Let us not complicate the salvation of the Christ, but merely accept willingly and humbly. 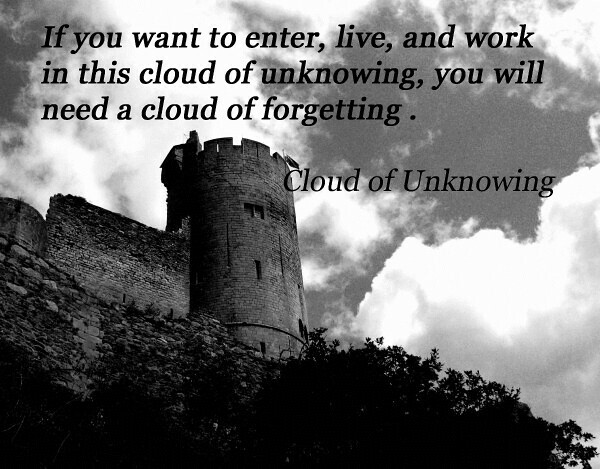 If you want to enter, live, and work in this cloud of unknowing, you will need a cloud of forgetting between you and the things of this earth. Consider the problem carefully and you will understand that you are farthest from God when you do not ignore for a moment the creatures and circumstances of the physical world. Attempt to blank out everything but God. 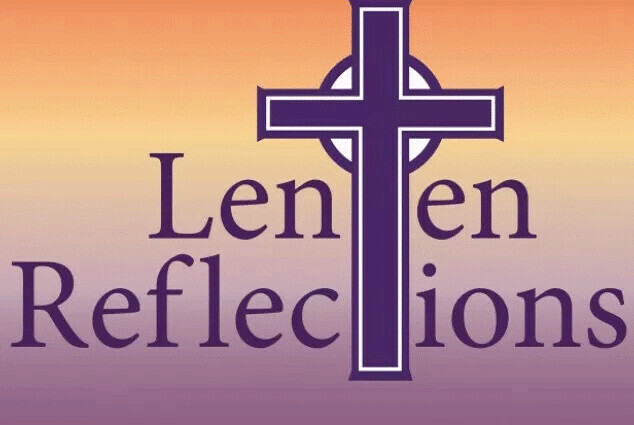 Ancient Rome Christians were reminded, “…all have sinned and fall short of the glory of God.” Our real dilemma is to try to unpack the meaning of that short phrase and apply it in a way that builds our faith and our witness. We are born as proud and resourceful beings. God meant for us to be able to thrive in this world but He also meant for us to be dependent on Him. As we become increasing independent, we moved far away from Him. The mystical writer challenges us to get as far away from the things of this earth as we can so we can get closer to God. We must somehow “forget” who we are, what we have accomplished, and get in a place where we can encounter God. At the same time, never forget that we are part of this world. To do this we must be fully aware of our surroundings and begin the task of stepping away for a short time just a pause. When we step away, we are then given the opportunity of communicating with God as a deeply personal friend. As long as our lives are crowded by the things of this world, we will never see God in a light that glorifies us and Him. Seeing where we are allows us to set our course to where we want to be and allows us to seek guidance along the way. The hymn writer proclaims, “Turn your eyes upon Jesus, Look full in His wonderful face; and the things of earth will grow strangely dim In the light of His glory and grace.” That is the direction of a contemplative. No matter how hard we try, we still live in this world -we cannot escape it. We cannot ignore it and for the most part, we cannot change it. With regard to this dilemma, different people take different actions. Hermits try to escape, hedonists embrace it, and most of us just try to find balance in our lives. The call of the mystic writer is to “blank out” everything but God. We do this by recognizing the problems and cares around us and putting them in the background of our lives as we seek to be nearer to God. We don’t get closer to God by being in denial of the carnal nature that we all possess. 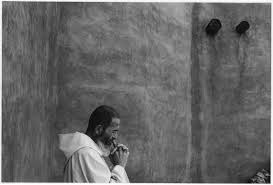 Closeness to God comes as we recognize our situation and say to God, we seek you with all our strength. Lord may I approach you with full knowledge of the baggage I carry. This knowledge that instills in me a total dependence on your grace and a trust in your promises. With such a heart I come to you today seeking knowledge only you can grant. Please allow me your presence in my life in spite of my sins. I invite you to fill my heart in this time of my need. My first thought was that I really wanted to know what it was like for Jesus to suffer and die. Upon further contemplation my desire was to be there with Him as was Mary Magdalene and the Christ lovers were. Just to be able to experience in the flesh the feelings and sounds of His passion would give me a far deeper understanding of Him. I just want to know His suffering. My first prayer is that God would grant me my desire. We spend most of our lives trying to avoid suffering but Julian was godly young woman who prays for great suffering to come upon her. That is quite fascinating, and tells us a lot about her devotion to Jesus as Savior. We all want a Savior, a liberator, a rescuer, but very few want to experience the pain involved with being such a person. Julian was different, she sought it, she welcomed it, because she knew that it was the only way anyone sees God fully. We all want to achieve great things, learn new skills but the commitment of time and effort and the sacrifice to do so turns us away. The boy who wants to play pro football doesn’t want the concussions and bad knees that plague players for the rest of their lives. In order to experience the fullness of God, we must travel down the road of suffering. Jesus said: “The Son of man must suffer many things, and be rejected of the elders and chief priests and scribes, and be slain, and be raised the third day.” To know God fully we must somehow embody His passion. 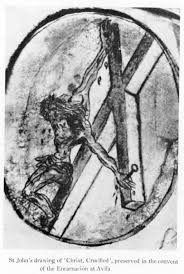 People go to extremes to know the passion of Christ, some are even nailed to a cross, because it is so important to feel as He felt. In doing so, we see our true worth in His eyes. Julian gives us a model, a very hard-hitting model, from which to fashion ourselves. She invites this suffering, indeed prays for it, because it will bring her closer to God. I am not saying that we should intentionally hurt ourselves, but I am saying that we should find a way for our hurts to be part of our spiritual journey and not the events that drive us away from God. Our hurts should teach us that we are created in God’s image and are experiencing the very same things He experience on His earthly journey. Suffering, passion and pain are windows to God. 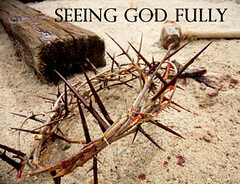 We are allowed to see Him fully as we feel that sense of helplessness that comes with such experiences. Like Julian, I feel it is very important to know and feel His pain. The passion is the only way we can know Him fully. Lord grant that as I suffer, and I will suffer from time to time, that I can use the suffering as a way of drawing closer to you. I pray that I can get a glimpse of what you endure don the cross and carry it with me every day. Help me to take seriously your command to take up my cross and follow you. Help me to find the cross and walk as you walked. In the 1960’s there was a movie called: “Dr. Strangelove.” The simplistic plot was about a ridiculous plan of a retaliatory nuclear attack. The plan was ridiculous and so was the name of the man, Dr. Strangelove, who formulated it. This Abba’s is based on the biblical record of a conversation that occurred between Jesus and a lawyer. He asked Him, “What must I do to inherit eternal life?” Jesus answered, “You must love the Lord your God with all your heart, with all your being, with all your strength, and with all your mind, and love your neighbor as yourself.” That is a difficult, demanding, somewhat strange command. The fascinating thing about the wisdom of the monk is that he tells us to begin with something we can see. As much as we would all desire to see God, we can’t see God in the flesh but we do see our neighbor. The key to experiencing God is understanding the depth of His love. God loves us at our worst and we are challenged to love our neighbors at their worst. All too often when go for what is easy, quick, and painless the result is the foundation of our spiritual house is sinking sand. The love of neighbor is the key to understanding the nature of God. He is a loving, understanding creator and not a cruel and harsh master. To the contrary, with a heart of compassion and mercy, He welcomes sinners into His kingdom. They don’t get the “cheap seats,” but receive a regal welcome. The beginning of that journey is to see God in His creation. Loving His creation – cheats, liars and thieves – is loving Him. Maybe this is a strange love to many of us, but it is the way God loves. The medieval mystic John of the Cross gives us advice to move towards “supernatural bounds.” Self-denial is a big step in that journey with Christ. This concept (self-denial) is at odds with our culture of more. As with all disciplines, true self-denial is developed slowly and with care. Begin with living more simply, caring for the small things of life, living a life of thanks and seeking to touch someone in need. Abba Anthony gives us three simple, and yet difficult principles, that we must do to please God. The challenge is to keep God before our eyes when our sight is so cluttered with the saga of life. Additionally, we are called to live with the scripture as the ever present guide for our lives. As if that were not enough, we are then instructed to “stay put” even when things are tough. Our world tells us quite clearly to keep focused on the earthly, while perhaps giving some attention to God, and to move on whenever life gets uncomfortable. Perhaps if we all developed a vision of God and followed that vision where we are planted, we would find that peace that eludes us.